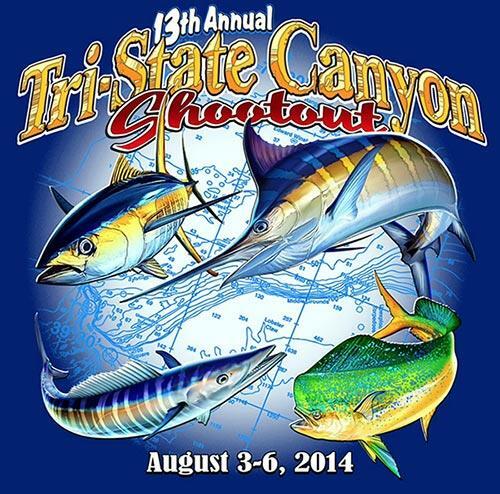 The Tri-State Canyon Shootout is back! From August 3rd to 5th, one of the finest sport fishing tournaments in the Northeast will once again be taking place in the waters off the coast of Block Island. Competitors in the shootout will partake in a captains meeting on August 2nd and begin 36 grueling hours of fishing the following morning. The event brings together some of the largest fishing fleets in the country with the biggest names in the fishing industry to provide the three pillars of the tournament: camaraderie in fishing, serious sportsmanship and family fun! Competitors will head 100 miles offshore in hopes of capturing the big game lying in wait. Their prey: Bigeye and Yellowfin Tuna. Don't believe all the hype? Check out this video from one of last year's competator's. For all the spectators, friends and families out there, head over to the Block Island Boat Basin or The Oar Restaurant between 3 and 5 PM on the 4th and 5th to watch the competators returning back for the afternoon weigh-ins. Before making slip or mooring reservations for the Shootout, consult Dockwa to make booking at Payne's Dock quick and easy!